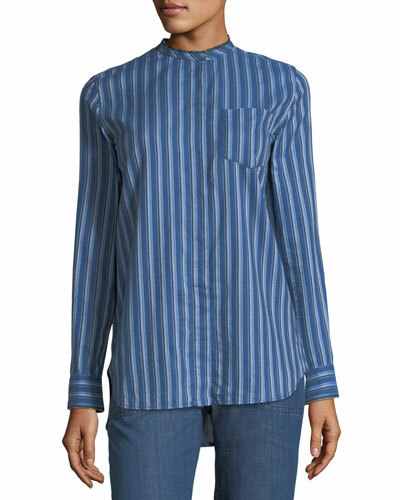 Since its founding in 1987 by Jean Touitou, Paris-based A.P.C. has been recognized for distinctively French minimalism. The antithesis to ostentatious style, the label makes sleek, functional bags worthy of the "wear anywhere" title, as well as perfectly understated clothes for women and men. 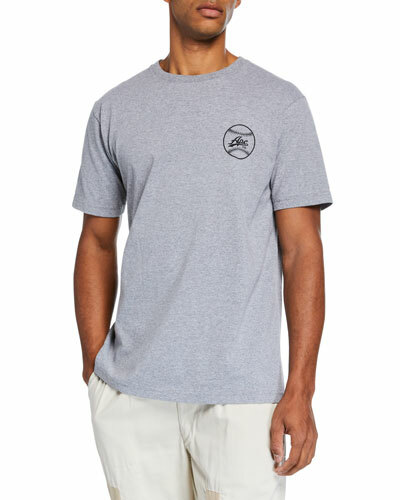 Launched in 1987, A.P.C. is a luxury ready-to-wear line that exudes French minimalism. 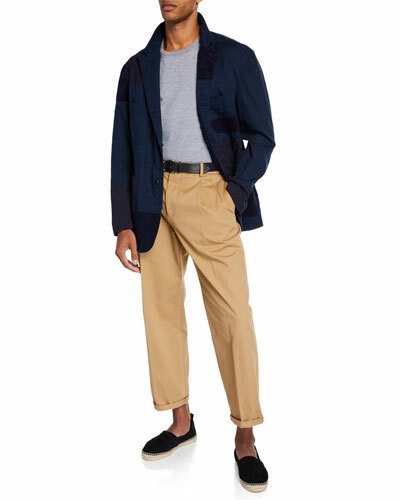 The brand was founded by Tunisian designer Jean Touitou as a remedy to ostentatious Parisian fashions, giving minimalists an option for simple, well-tailored basics and workwear. 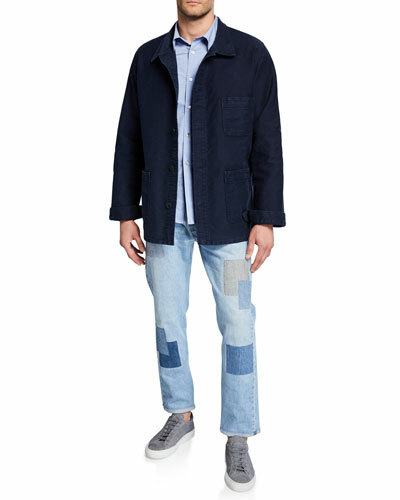 Crafted with attention to detail and an eye toward the future, A.P.C. 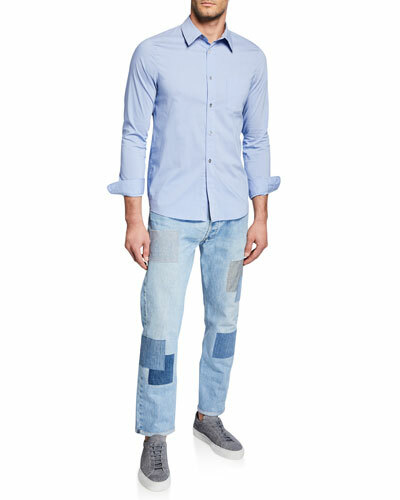 dresses, tops, sweaters, and pants are always on the cutting edge of fashion without trying too hard. 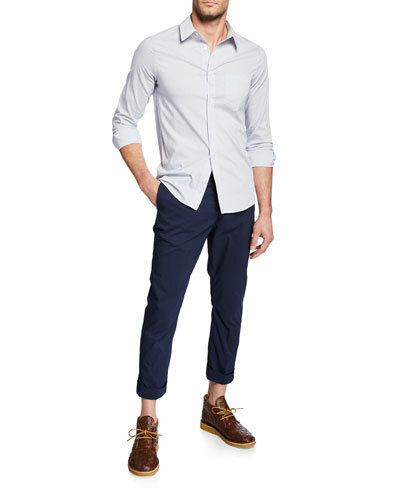 For effortless style and comfort, A.P.C. emphasizes function and versatility above all else. 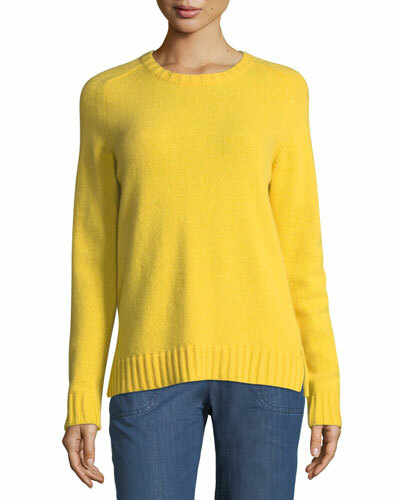 Core pieces include fine knits, tailored denim, and structured blouses. 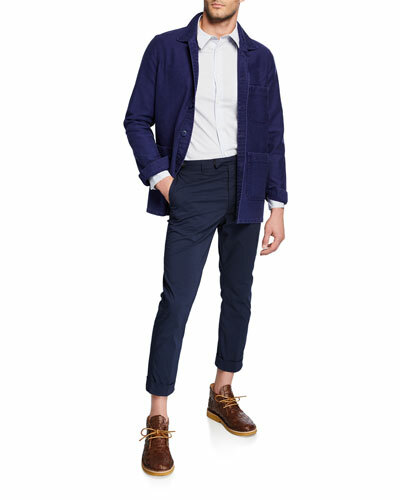 Shop a selection of A.P.C. apparel for women at Bergdorf Goodman. Alice + Olivia "Zimmer" blouse with printed poodles. Spread collar; concealed button front. Long sleeves; button cuffs. 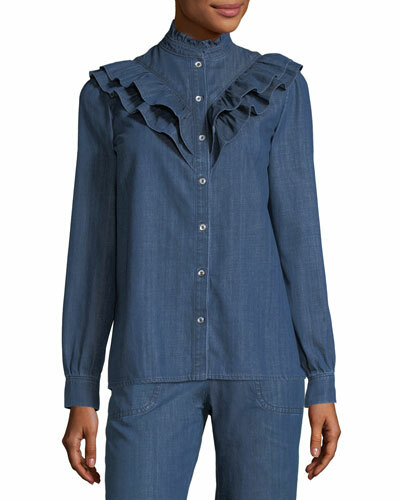 Ruffle details at shoulders. Yoked back; box pleat. Relaxed fit. Straight hem. Silk main & combo. Imported. 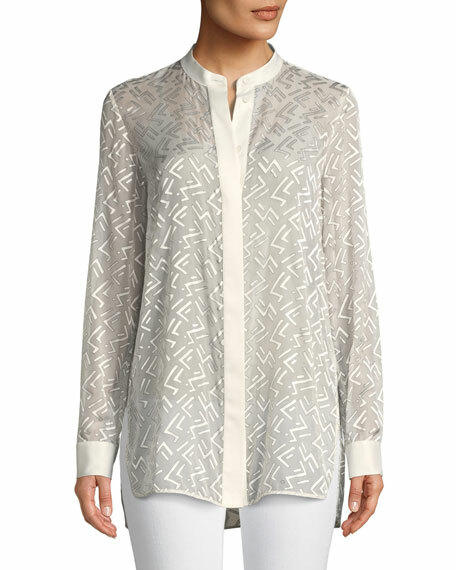 Anais Jourden blouse with metallic confetti at back. Spread collar; button front. Long sleeves; button cuffs. Boxy silhouette. Draped flounce back. Straight hem. Cotton; cotton/polyester trim. Dry clean. Made in Italy. 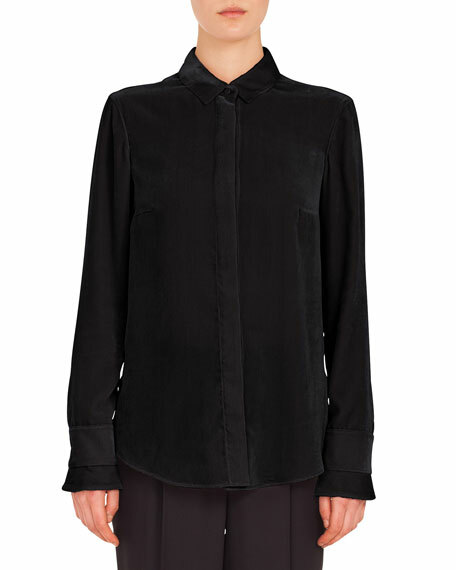 Lafayette 148 New York "Brayden" blouse in Succession devor velvet. Approx. 31"L from shoulder to hem. 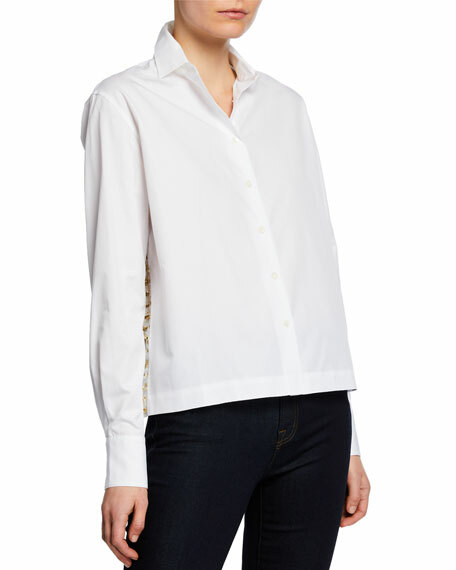 Tab collar; placket conceals button front. Long sleeves; button cuffs. Yoked, pleated back. High-low hem. Relaxed fit. Silk/viscose. Dry clean. Imported.